Charles Frederick Worth was bornon October 13, 1825 in Bourne, British, is Fashion Designer. Charles Frederick Worth was an English fashion designer credited with revolutionizing the business of fashion. He was the founder of the House of Worth, one of the foremost fashion houses of the 19th and early 20th centuries, and was well-known for his popularity with the European royalty. 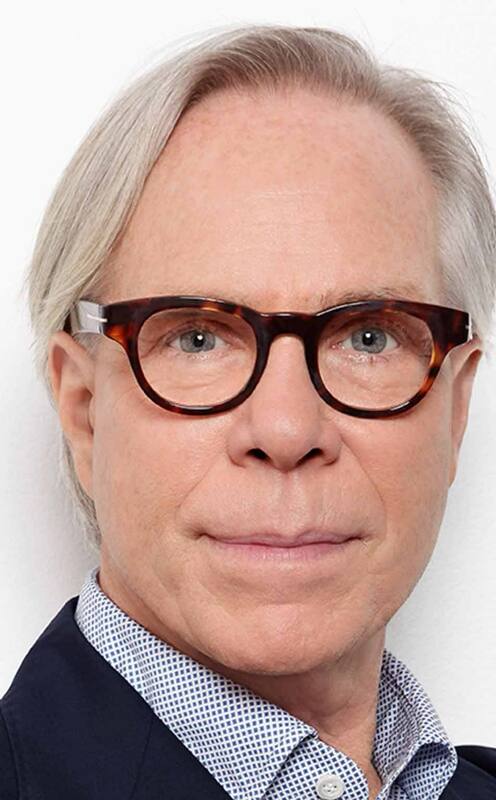 An innovative designer and as astute marketer, he is considered by many fashion historians to be the father of haute couture. Raised in an impoverished family in Lincolnshire, Worth was pushed into working at a young age. As a young boy he moved to London to become an apprentice at the department store of Swan & Edgar in Piccadilly. Soon more jobs in textile stores followed and he eventually moved to Paris where he began making dresses himself. His creativity and expert skills earned him many clients in no time and he became a well-known name in dress-making. The ambitious young man established his own company, House of Worth. One of his dresses caught Empress Eugenie’s attention who made him her official dressmaker. This royal patronage made his fashion house a highly successful one which started attracting wealthy female clients from not just Europe but also from America. By the end of his career, the father of haute couture had shifted the day-to-day control of House of Worth to his sons who continued their father’s legacy. Charles Frederick Worth was born on 13 October 1825 in the Lincolnshire market town of Bourne to william and Ann Worth. Some sources say he was their fifth and final child, and the only child other than his brother, william Worth III, to survive to maturity. Others say he was the family&apos;s third child. Charles’ father was a solicitor – described as "dissolute" – and left his family in 1836 after ruining its finances, leaving his mother impoverished and without access to financial support. In 1846, Charles Frederick Worth moved to Paris. He arrived there speaking no French and with £5 in his pocket. 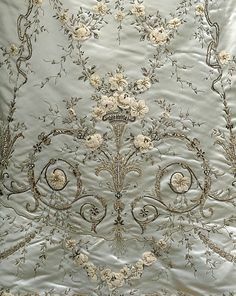 By the time his mother Ann Worth died in Highgate, London, in 1852, Worth was a sales assistant at Gagelin-Opigez & Cie, a prestigious Parisian firm that sold silk fabrics to the court dressmakers, also supplying cashmere shawls (then a ubiquitous accessory) and ready-made mantles. It was here that he met Marie Vernet, who became his wife in 1851. With a wife and two sons, Gaston Lucien (1853) and Jean Philippe (1856), Worth was eager to establish himself. By this stage, he was a known name. He acquired a young Swedish Business partner, Otto Gustaf Bobergh, and in 1858 the duo set up in Business at 7 rue de la Paix, naming the establishment Worth and Bobergh. Marie Vernet Worth played a key role from the start, both in the selling of the clothes and in introducing many new customers. Established in Paris in 1858, his fashion salon soon attracted European royalty, and where they led monied society followed. An innovative designer, he adapted 19th-century dress to make it more suited to everyday life, with some changes said to be at the request of his most prestigious client Empress Eugénie. 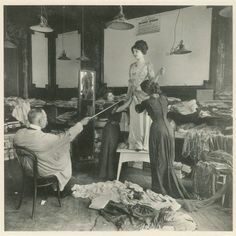 He was the first to use live Models in order to promote his garments to clients, and to sew branded labels into his clothing; almost all clients visited his salon for a consultation and fitting – thereby turning the House of Worth into a society meeting point. By the end of his career, his fashion house employed 1,200 people and its impact on fashion taste was far-reaching. 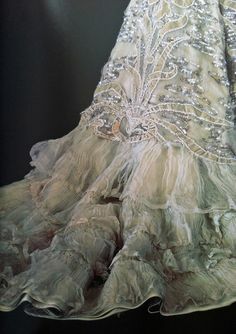 The Metropolitan Museum of Art has said that his "aggressive self-promotion" earned him the title of the first couturier. Certainly, by the 1870s, his name was not just known in court circles, but appeared in women&apos;s magazines that were read by wide society. 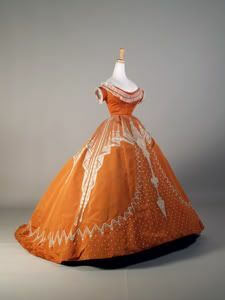 Success came fast from this point on; in 1860 a ball dress Worth designed for Princess de Metternich was admired by Empress Eugénie, who asked for the dressmaker&apos;s name and demanded to see him the next day. In her memoirs, de Metternich commented: "And so...Worth was made and I was lost, for from that moment there were no more dresses at 300 francs each". Worth became Empress Eugénie&apos;s official dressmaker and ensured the majority of her orders for extravagant evening wear, court dresses, and masquerade costumes. She had him on call constantly to create dresses for events she attended. 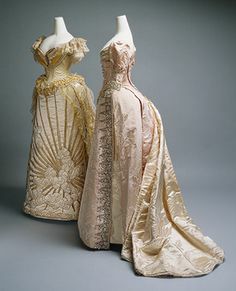 As an Example of the scale of Worth&apos;s Business with the Empress, for the opening of the Suez Canal in 1869, she had decided she needed 250 Worth dresses. Apart from Empress Eugénie, he had numerous other royal clients, including Empress Elisabeth of Austria. The most famous surviving portrait of Charles Frederick Worth shows him wearing a hat, fur-trimmed cape and cravat. It appears that he had adopted this distinctive dress from the 1870s. A contemporaneous account from a visitor to the home of "the Napoleon of costumiers" in 1874 described Worth&apos;s entrance to meet his party in: "a flowing grey robe that fell to his heels, lined with pale yellow, with a deep vest to match, and numerous other overlapping appliances that modified and gave elegance to a costume as unique as it was comfortable". The visitor, who described Worth as "not a bit &apos;Frenchy&apos;", also noted that he was of medium height, strongly but not stoutly built with a dark moustache and had the appearance of a man who lived temperately. Although he was not in day-to-day control of House of Worth, he remained an active presence; his obituary in The Times noted that he had turned over the Business some years earlier but: "he was to the last a constant frequenter of the establishment". At the time of his death, he had both a house in the Champs-Élysées and a villa in Suresnes near the Bois de Boulogne. He was described as a "liberal contributor" to French charities and a keen collector of "artistic treasures and curiosities". There seems little doubt that Worth had amassed a fortune; an 1874 visitor to this villa (who called it a château) described an abundance of faience china; a conservatory full of exotic plants; a winter garden and stables full of immaculately turned out horses. The gardens contained statuary and stones retrieved from Tuileries Palace (former home of his foremost patron Empress Eugénie) that were about to be incorporated into a new hothouse. 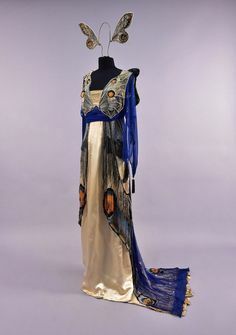 By the late 1880s, Worth had established characteristics of a modern couture house – twice annual seasonal collections and brand extensions through the franchising of patterns and fashion plates. One of his biographers notes that he had also successfully fostered the myth of the "male &apos;style dicator&apos;". Worth’s sons Gaston and Jean, who had joined the Business in 1874 to help with management, Finance, and design, became increasingly active, leaving Worth free to take more time off in his later years; by this stage he had a variety of health problems, including migraines. 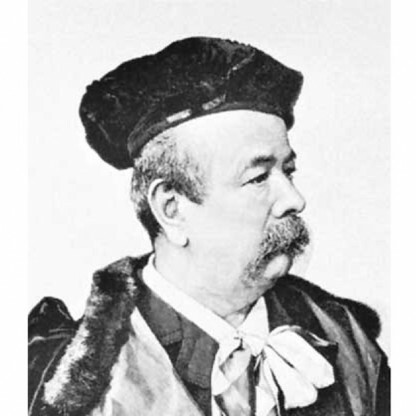 On 10 March 1895, Charles Frederick Worth died of pneumonia at the age of 69. He was celebrated enough to receive a variety of obituary notices. The notice in The Times said: "It is not a little singular that Worth...should take the lead in what is supposed to be a peculiarly French art". Le Temps, meanwhile, suggested that Worth was of so artistic a temperament that he found England unsuited to his temperament and taste, and so gravitated to Paris, the city of light and beauty, to make his name. This was a claim refuted in British society magazine Queen, which put his rise to prosperity down to perseverance, intelligence and industry; this article was later reprinted in the San Francisco Call. This article incorporates text from a publication now in the public domain: Alger, John Goldworth (1900). "Worth, Charles Frederick". In Lee, Sidney. Dictionary of National Biography. 63. London: Smith, Elder & Co. The Victoria and Albert Museum in London has an archive of Charles Worth designs, including both sketches and garments. In 1956, the House of Worth (by then amalgamated with the fashion house of Paquin) donated 23,000 drawings of dresses to the museum. Two years later, the V&A held a major retrospective to mark the centenary of the foundation of Charles Frederick Worth&apos;s Business. Worth began sewing dresses to complement the shawls at Gagelin. Initially, these were simple designs, but his expert tailoring caught the eye of the store&apos;s clients. Eventually, Gagelin granted Worth permission to open a dress department, his first official entrance into the dressmaking world. A 1958 article in The Times published shortly before a centenary exhibition in London to mark the opening of his Paris fashion house noted that the ambitious Englishman&apos;s ideas were almost too much for his employers: "The young Worth, full of ideas, was having such a success at Gagelin&apos;s that it was felt necessary to restrain his rashness". His obituary, written by a Paris correspondent for The Times explained this comment in somewhat more detail, saying that he was refused a share in the Gagelin Business, even though he had extended its activities into making up, rather than just selling, garments. He had also helped build the company&apos;s international reputation by exhibiting prize-winning designs to both The Great Exhibition of 1851 in London and the Exposition Universelle in Paris four years later. At the Paris exposition he had displayed a white silk court train embroidered in gold. 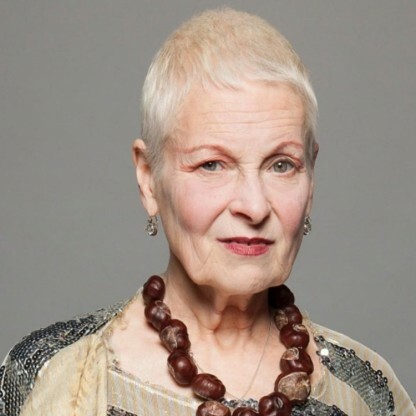 Worth raised the status of dressmaking so that the designer-maker also became arbiter of what women should be wearing. 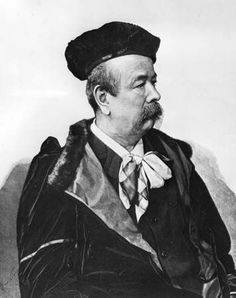 Writing on the history of fashion and, in particular, dandyism, in 2002, George Walden said: "Charles Frederick Worth dictated fashion in France a century and a half before Galliano". Worth created a shorter hemline – a walking skirt – at the suggestion of Empress Eugénie, who enjoyed long walks but not long skirts. This was initially seen as too radical, even shocking, because it was at ankle length, but its practical benefits meant it was adopted over time. 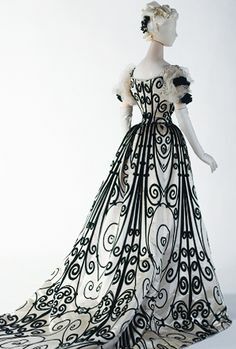 An 1885 Example of the Worth &apos;walking dress&apos; is held at the archives of the Metropolitan Museum of Art. The Second Empire boomed, alongside Worth’s brand, until 1870, when the Prussians invaded France. Worth closed his Business for a year; he was able to reopen a year later, but wartime meant he had difficulty finding clientele, staying in Business with lines of new maternity, mourning, and sportswear. During the siege of Paris, he turned his salon into a military hospital. At this stage, the partnership with Bobergh was dissolved – with the Swede returning to his home country. In Common with other fashion designers, the House of Worth was affected by the financial downturn of the 1880s. Charles Frederick Worth found alternative sources of revenue in British and American customers and also turned his attention to encouraging the struggling French silk industry.